Arguing Over Nothing, Super Junior 13 or 15 ? HomeMusic Arguing Over Nothing, Super Junior 13 or 15 ? Sometimes we argue with our mates about important, life-changing things,the world peace ( eh! ),but sometimes it seems like we fight and argue about nothing! Back in the days, ELF ( the fans of Super Junior) has one, too. The topic of the arguing is about whether Super Junior member is 13 or 15. It started when some fandom spread the petition to make Henry and Zoumi as the official SJ member. Then it's getting worst when Hero ( SJ Japanese Song) teaser is up on the YouTube. The comments are so tense about 13 members or 15 members.If you're not an ELF probably you're laugh about it. How can fans fighting and arguing about the number of their idol group member. It's like that kind of thing is all written in the wikipedia and spread all over the internet. Why arguing about it? Just google it or go to the official website, read, and there you know how many member they have. Right? But for an ELF, apparently it's not as simple as that. Let's do the math, shall we? Super Junior started their career in the show business in 2005. They originally debuted with twelve members, consisting of leader Leeteuk, Heechul, Hankyung, Yesung, Kangin, Shindong, Sungmin, Eunhyuk, Donghae, Siwon, Ryeowook and Kibum. Late in 2006, Kyuhyun the last member and also the maknae among them joined as the 13 member. And this point, yes.. there WERE 13 members. But then, something happened in December 2009. Hankyung departed from the group after filing a lawsuit against their agency S.M. Entertainment. And made it official on September 27, 2011, when S.M. Entertainment finally released a statement to that effect. To this point from math and showbiz view, Super Junior has 12 members. Am right? At the same time in 2009 Super Junior made a big step of Hallyu Wave. Thanks to their hits SORRY SORRY that made them international recognition as Kings of the Korean Wave. Unfortunately something came up. One of the member, Kim Kibum, did not take part in any of the group's promotional activities except for music video shoots for "Sorry, Sorry" and "It's You". There were no line that Kibum sing or rap in those two songs and also was absent during promotions. It leads to speculation whether Kibum has left Super Junior. According to the agency and other member that time, Kibum was busy with solo projects, and re-confirmed he would be absent from promotional activities, but that he had not left Super Junior.Ok, fine! But where was he when Sorry Sorry Answer released? He also absent from the MV. The only statement from Kibum was : "Firstly, I am in the process of preparing for the play and releasing the drama. Whether I will participate in the fourth album, resume solo activities, or continue acting, need to be further discussed with my company". Third album went to fourth, fifth and now sixth.. "Where are you Kibum-ssi?" Even Siwon and Donghae played roles in dramas but they still as active members. Is this the way SMent of getting off Kibum without making too much notion as the leaving of Hankyung? So how many member that left? 11 ? 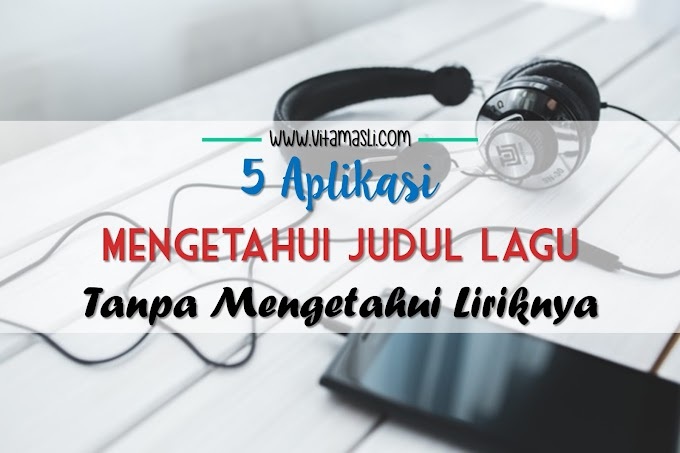 Let's continue counting..
Over the years, they have been divided into smaller subgroups, simultaneously targeting different music industries and audiences. There are Super Junior Happy, Super Junior Trout, Super Junior K.R.Y, Super Junior EunHae and Super Junior-M ( SJ-Mandarin). This is the first international music group in the Chinese music industry to have members of both Chinese and Korean descent. The group originally consisted of leader Han Geng (After Hangeng left SJ-M he replaced by Eunhyuk and Sungmin), Donghae, Siwon, Ryeowook, Kyuhyun, and two additional members appearing exclusively to the subgroup. They are Zhou Mi and Henry. as for Chinese music Industry they promoted only on China and other Chinese spoken language country. But they also performed their singles on every Super Show that Super Junior held. So that's make Zhou Mi and Henry only performing on stage with SJ-M songs and their solo. They're not many stages for them.Mostly of that time they just sitting and waiting in the waiting room. According to Eunhyuk, that's why on Super Show 5 they decided to involved Zhou Mi and Henry even more. On the Super Show 5 song list there are more stages that include Zhou Mi and Henry. They performed in 3 SJ-M songs ( usually only 1 song) and other songs of Super Junior itself such as Wonder Boy,So I, Sapphire Blue and Show Me Your Love. That leads to a speculation to some ELF whether Zhoumi and Henry are just to fill in the blank spot of Leeteuk and Yesung who recently enlist for Military Service.Some of them are not agree to put Zhoumi and Henry as the "replacement members" so they make a petition to make them as the official member of Super Junior. The petition is spread through fanbases account on social media. To make it even worst there are some ELF who spread the petition "Only 13 Member". And that's where the arguing on twitter started : which side are you on? SJ13 or SJ15? Unfortunately when the Teaser of Super Junior's first Japan album "Hero" released on YouTube, the arguing continues. The ELFs who said that Henry and Zhoumi only the part of SJ-M subunit are being accused as 'None-True-ELF'. The fight and arguing still continues, even though Eunhyuk has stand up on the stage after Super Show 5 Singapore ended. Firstly, Zhou Mi and Henry are not official Super Junior members, but Zhou Mi and Henry are official members of Super Junior M. And we ... Henry and Zhou Mi as Super Junior M members, are important, and we`ve spent a long time together with them. We have a close friendship with them, and support them like they are family members. There won`t be any change with their positions nor will they promote with Super Junior. They won`t participate in Super Junior`s albums, nor take photos with us for Super Show posters. They will not have official promotions with Super Junior. I hope you all won`t misunderstand. We just... those two... we truely support them; I hope there aren`t any more misunderstandings. I think this talk started at last Super Show, when they stood with us for Super Junior stages. That did not have a different meaning. Doing Super Shows with them, and watching them wait for hours in the waiting room after performing only 3-4 songs made us sad. And knowing that they want to stand with us on stage instead of feeling lonely, we thought it`d be nice to bring them up for not all Super Junior stages but ones we.interact with fans. so we brought them up. We hope you all wil have same feelings as us, and look at them with warm hearts, and cheer for them. They will not become official Super Junior members. I hope you support them as Super Junior M members. Singapore ELF, sorry to talk about this here. I hope you will all leave safely. Thank you. As an ELF myself I think Eunhyuk has given the clearest statement of how many Super Junior member has and the position of Henry and Zhou Mi as the part of sub-unit group. The sad thing was, even though Eunhyuk has stood and gave the statement some ELF are not satisfied and bullied Eunhyuk. And the argument about SJ 13 or SJ 15 is still continue. What a shame.. If you ask me how many Super Junior member are, i would answer it : 11 members. 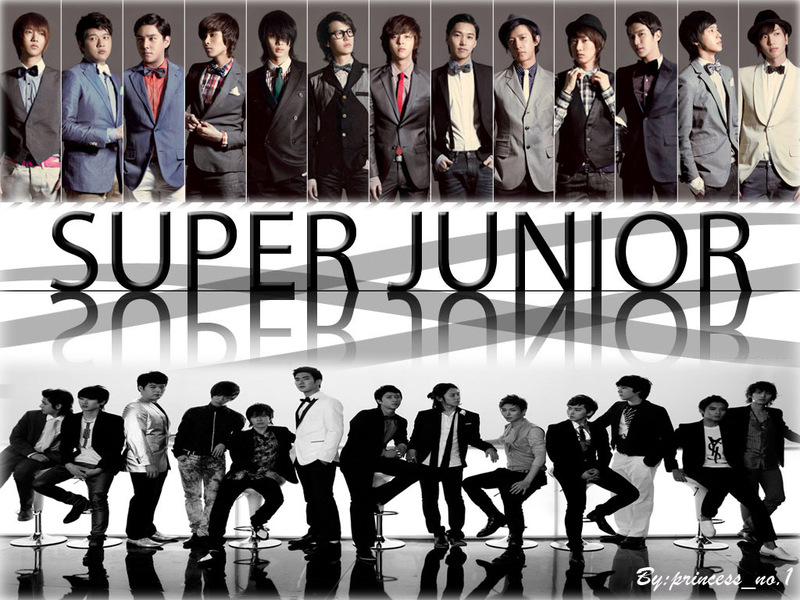 They are Leeteuk, Heechul, Yesung, Sungmin, Shindong, Kangin, Eunhyuk, Donghae, Siwon, Ryeowook and Kyuhyun. For me Hangeng is the past, he decided by himself to left Super Junior meanwhile Kibum is no longer active without any reason that make senses to me. (What? Doing drama while Siwon and Donghae also do that but they still active as member?Oh give me a break!). No matter how much i want them as they way they used to be, i have to see the reality. There are some reason why they can't reveal everything. Maybe it's about image, maybe they don't make any chaos among the fans, and other millions maybe. It's a showbiz. Don't take it personal. It's the same thing with the position of Henry and Zhoumi. From the beginning they are recruited as SJ-M member, as clear as that. It's not that I'm saying I'm the anti fan of those two guys. No! 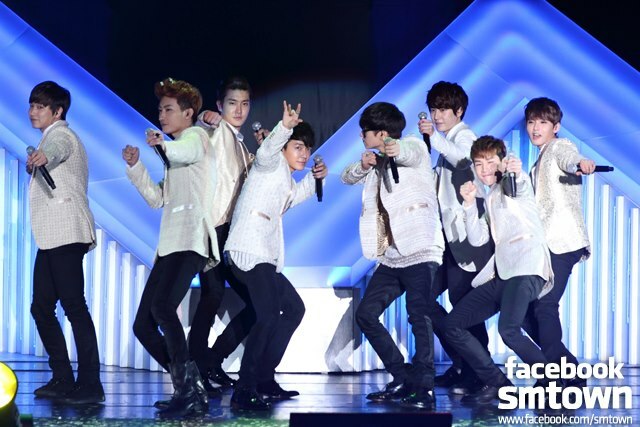 They are the part of SJ-M, how can i not support them? All i want to say is no matter how much you love them, please get real and don't to blinded. So, yes.. I proudly said they are 11 members of Super Junior. 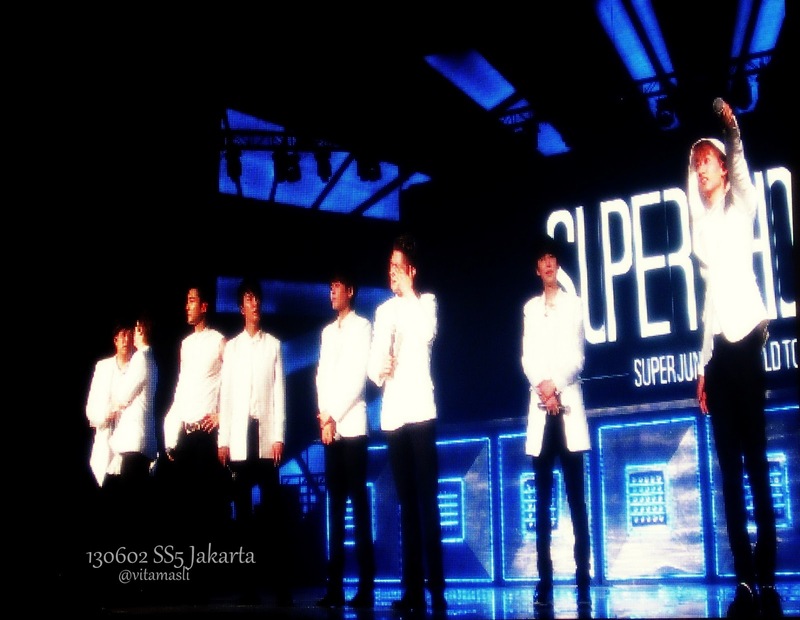 No more, no less..
Actually, it doesn't matter how many member you believe as Super Junior members. As long as you love and support them as a whole group, that's matter the most. Support them by buying their CD/DVDs, official goods,and going to Super Show 5 are making you "TRUE ELF" rather than download or buying piracy CD/DVDs. Loving them so much that you followed them everywhere and put them in dangerous situation or fight and arguing on the internet doesn't make you "TRUE ELF" either. Arguments that end in harsh words and hurt feelings will take you nowhere. Everybody will get hurt,it's not just ELF, Super Junior also. So please stop this arguing over nothing, It's not worth it after all. Keep calm and always Love Super Junior. I dont know why SM haven't made any certain decision about this. It will lead Elf to silly argument like this. 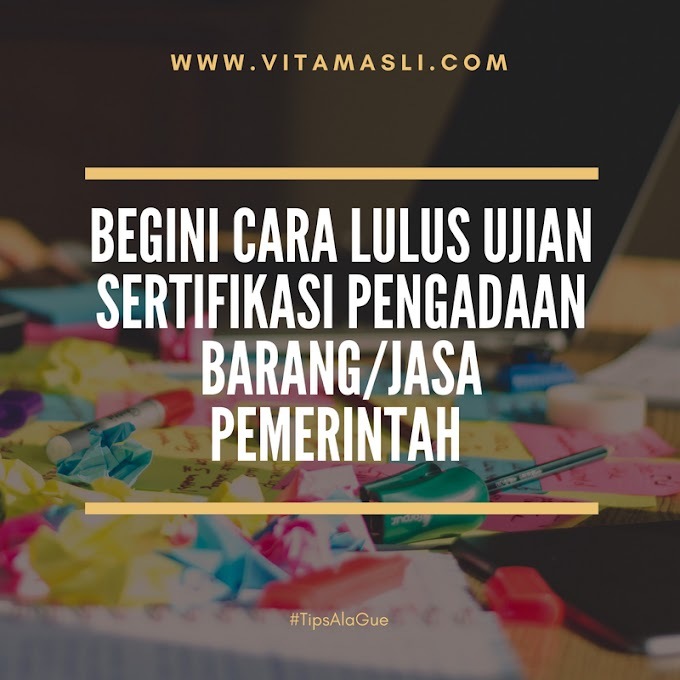 Sayangnya masih ada aja yang terbawa "memory masa silam". Heran deh, susah banget gitu ya move on?